Having just spent the last couple of weeks in daggy shorts, t-shirts, swimmers, thongs … I’m definitely ready to head back to work – if only to actually blow dry my hair and put a little more onto my face than sunscreen. Yes, I love chilling out and not worrying about the way I look but the truth is, I don’t do Summer well! My hair becomes a frizz ball, my skin doesn’t tan the way it used to and my body certainly does not look the way it used to. Yes, I’m far better off covered however the Summer heat and covering up don’t really work well together. 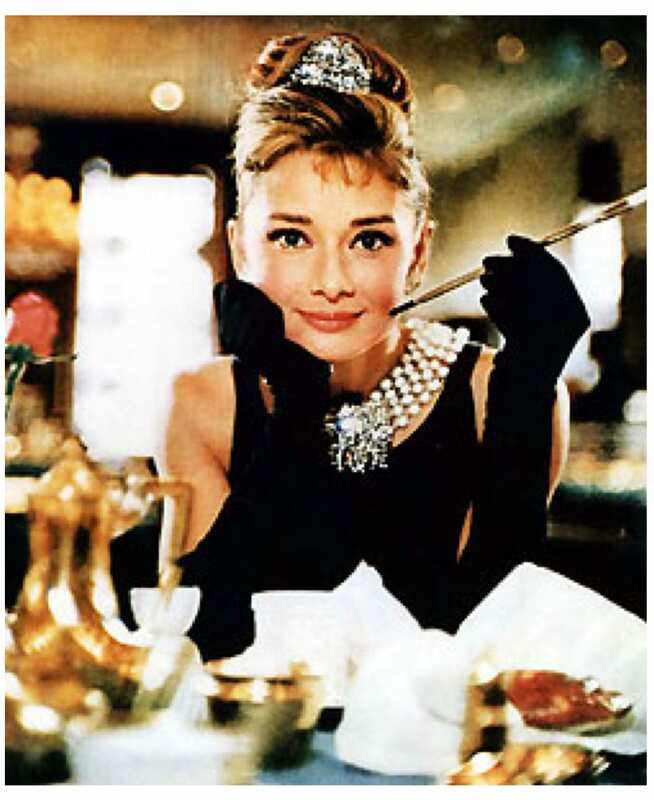 If I could, I’d be doing Audrey Hepburn in Breakfast at Tiffany’s everyday (well perhaps that’s an overstatement) but the level of glamour is simply stunning. The little black dress, the jewellery from Tiffany’s, her hair and her makeup. All simply to die for and such fun to occasionally get completely dressed up. It would seem I am not the only one who covets the Audrey look. A five minute peek around the ‘net and I had advice on Recreating the Breakfast at Tiffany’s look from www.stylebakery.com as well as a 10 minute video tutorial on Achieving the Audrey Hepburn look with my makeup. Years after the movie was released, there are still fan s – even in the fashion world. Manolo Blahnik (the one who’s shoes sell for thousands!) recently dubbed the little black dress as “Divine!” which was substantiated overwhelmingly when the actual dress, originally designed by Audrey Hepburn’s favourite designer, Givenchy, recently sold at auction for $900,000. I found this little titbit at denveralamode.com as part of an ode to classic movies and the fashion within. It’s hard to find an equivalent occasion in our world today where one would dress up to this level. I adore the idea of false eyelashes – nothing feels more glamorous but would never have the guts to wear them unless it was a fancy dress party. And while I do use lots of necklaces (perhaps to draw attention away from the bumps and lumps my 40 year old body now sports), I can’t imagine going to the level of multi-strand set of pearls with diamond encrusted brooch or diamond tiara. So, perhaps I should have been in my 20s in the 60s – much more fun than low rise jeans and muffin tops! I Dont get dressed up often but I love getting dressed up when I do you feel s million bucks. She was an icon wasn’t she! Audrey Hepburn was wonderful in the movie and looked amazing! I love false eyelashes. My daughter in law has tem and she looks so vivacious. It reduces the need for make up and you do not have to bother with mascara or it’s messy removal. I am seriously thinking of getting some and soon. wow that is one expensive dress! Wow! $900,000 for a dress, that’s some dress! Thanks again for this article; had to take another look at Audrey Hepburn. Thanks for sharing this read; I really enjoyed it and I love the glamour look!